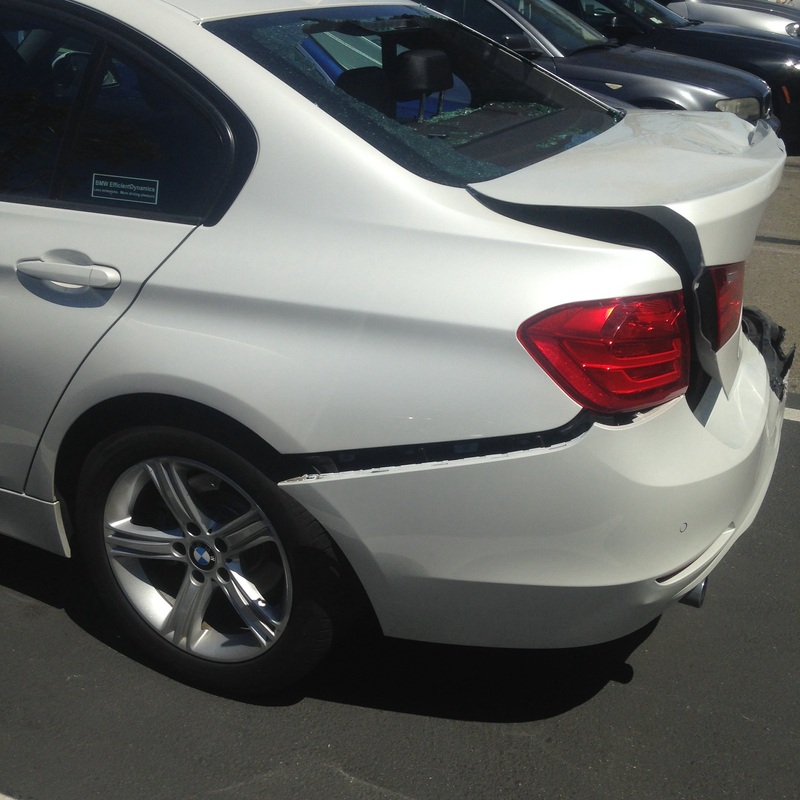 Ok work is kind of slow right now,,,,nothing really exciting going on,,,,but this came in on a tow trunk,,,,I thought you might enjoy to see how well a BMW does in a accident. You can see the rear window is shaddered,,,,and the right rear panel is wrinkled,,,,the good news is that both rear doors still open up. 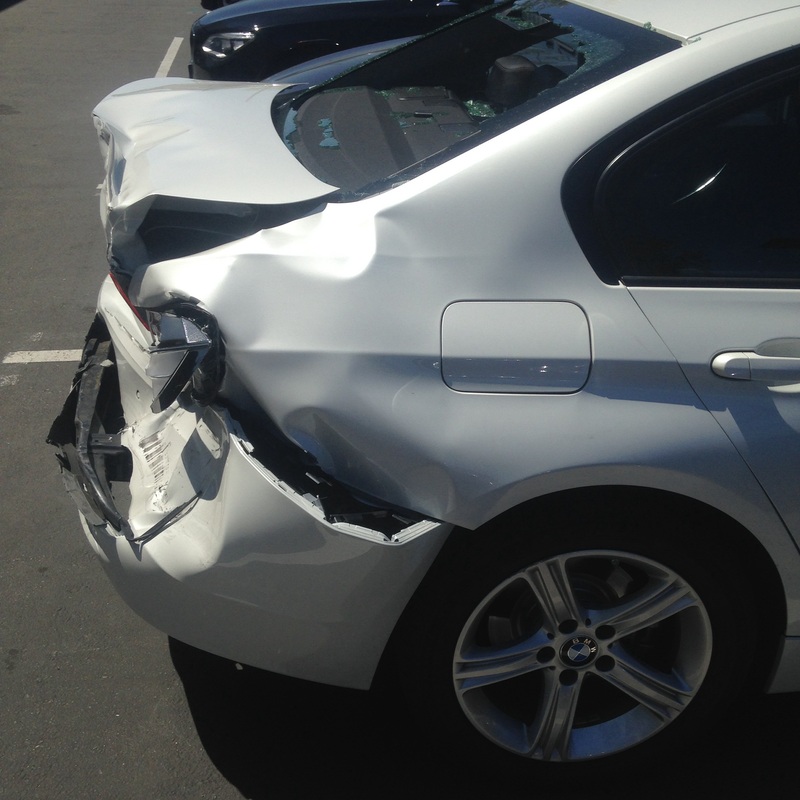 This side not as bad as the right side,,,,which took most of the hit. 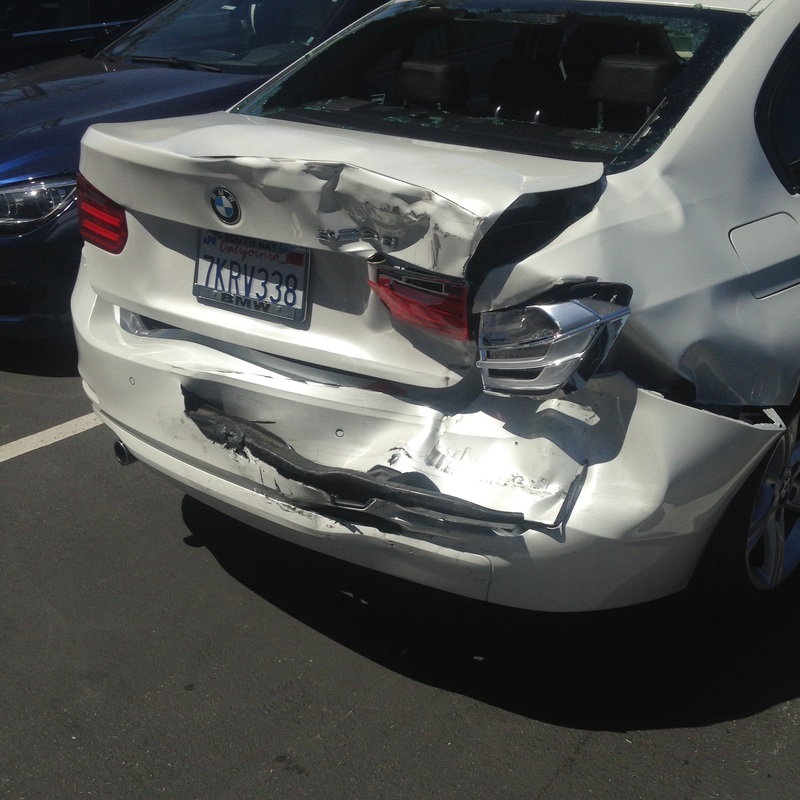 This entry was posted in Uncategorized and tagged f30, rear accident. Bookmark the permalink. Any idea how much to fix?